La Cañada Flintridge Real Estate Blog: Knock Knock! Who's There? Real tortoises keep it slow and steady. Today I was back at Oakwood with Phyllis for Pasadena caravan. 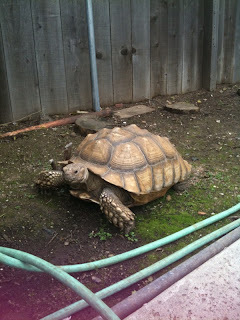 I had a lot of buyers jokingly ask me if this tortoise was included with the sale of home, but unfortunately he's not! 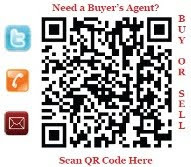 Experienced Realtors® should know to ask their sellers what stays and what goes with the sale of the home, so that they may include it in the purchase contract. Items such as chandeliers, mounted TVs, refrigerators, washers/dryers, etc. should be brought to your Realtors® attention. Harry the turtle is more then 30 years old and is more intimidating then your regular guard dog. =) Wouldn't it be great to have a pet like this?